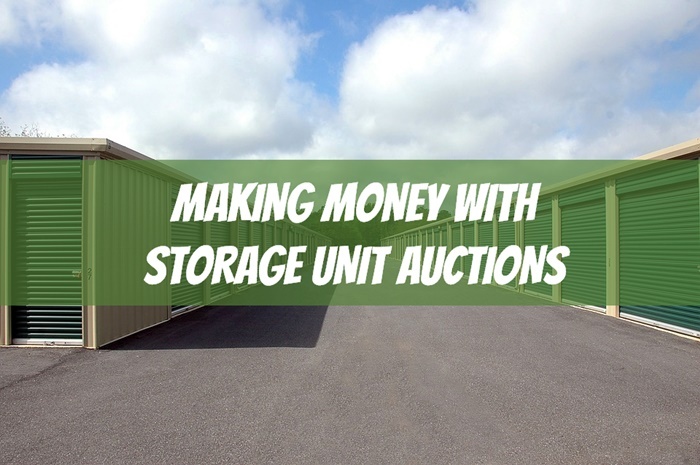 This contribution on making money with storage unit auctions comes from long-time Side Hustle Nation member Domenic Costa. “Coach” Dom does a bunch of different side hustles in addition to his day job as a teacher, including this interesting “buy low, sell high” business that’s straight out of reality TV. Be sure to follow Dom on Instagram and YouTube, where he shares some his flipping finds and hustle tips. As a high school teacher, I listen to teens complain about not being able to make any money until they are 16 and can get a work permit to work in a fast food restaurant. Having grown up as the son of a self-employed building contractor, I knew that there were lots of jobs and giving service that are available to anyone at almost any age. You do not have to wait to be 16 to be useful! You do not have to be a certain age to provide a service and to get paid in cash! I shared with the kids garage sales and selling things around the house on eBay, Amazon, and Craigslist were a great way to make some money! To demonstrate it, I did the same activities myself and made YouTube videos! I share my journey at Coach Domenic Costa on YouTube. Although I was making great money flipping items from yard sales (usually $200-500 profit), I realized I needed to find more material to sell. 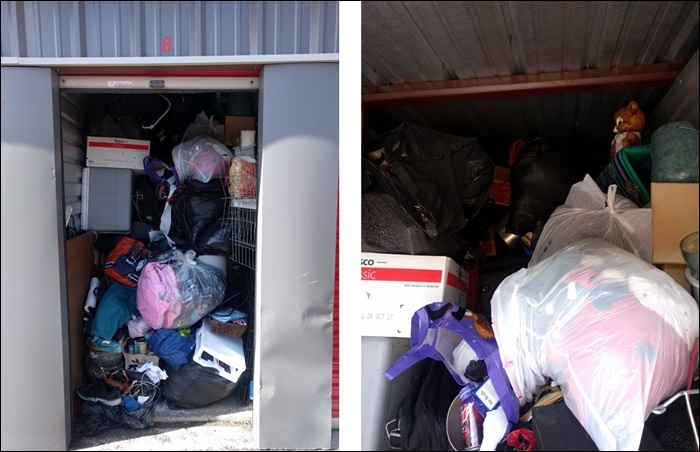 When storage locker renters fail to pay their monthly rent for a certain period of time, the storage facility will auction off the contents off the box to the highest bidder. For side hustlers, that means an opportunity to score inventory to re-sell on the cheap. Usually there will be a notice in the newspaper or the storage auction facility will have an online listing of when the auctions will be. I try to attend my local ones when I have time off. At the start of the auction everyone is reminded to return to the storage facility office any valuables like cremation ashes, birth certificates, and family photos. Then an auctioneer walks the attendees to the units, and opens the doors. Everyone has an opportunity to take a quick peek, but you generally can’t go inside. You have to develop your skills of knowing what you’re looking at, what condition it’s in, and basically be wise enough to only bid on what you see! The auctioneer goes through his or her spiel and the unit is auctioned off. After all of the units are auctioned off, the “winners” typically meet in the facility office and pay up. The winners are also responsible for a $100 or $200 cleaning deposit. Then they have 24 to 48 hours to empty the unit to receive their deposit back! The unit must be left broom swept clean and no trash can be deposited at the storage facility. There are also online storage unit auctions — more on those below. I had always had an interest in making extra money, and had done lots of yard sale flipping. Back in the day when people read newspapers, I noticed storage unit auctions near where I lived and I would go to them occasionally. I had never really taken the full dip into the pool but it was intriguing to see the types of swap-meet buyers and the stuff in the lockers for sale. My first auction was near my home and I won it for $35. It was full of household goods like pots and pans and holiday decorations. I sold everything for nearly $200 — more than quadrupling my money. I typically would buy one unit a month and sell all of the items. As I got bigger and better at selling all of this material, I ramped up to two per month and have now bought and cleaned out over 100+ storage units. Around the time I started to take the storage locker auction side hustle more seriously, so did a lot of other people! Storage Wars and a bunch of similar shows (American Pickers, Auction Hunters, etc.) were making a big deal about Storage Unit auctions and the kind of money you could make. It was not unusual to have crowds of 70-100+ people at live storage auctions. These crowds just drove up the prices and made a boatload of money for the auctioneers and storage facilities! A unit that might sell for $300 today would go for $1000 just because so many people wanted to get in on the action. It was still doable to turn a profit, but it was difficult. I hung in there, and I bought a couple of units and began to learn how to sell all of the different kinds of items I found. Storage Wars was billed as “reality TV”, but I have a hard time believing that they found really excellent stuff in every single unit as portrayed. I am not saying it couldn’t happen but you have to remember the shows are for entertainment first! How Much Money Can You Make from a Storage Unit Auction? My typical profit ranges anywhere from 100 to 600% of the sales price. For me, breaking even is a loss! My profits aren’t enough to retire on, but it is the skill of selling that I believe helps me and has helped my students develop confidence as they sell. Selling is a skill that is necessary on our planet and I believe you can have a better and more fruitful life if you know, can practice it, and and appreciate it! The typical sales price for a won unit could be free or $1 all the way up to the $1000s. The most expensive I’ve seen one go for was for $10,000 cash. That particular unit was 20 feet deep and had at least 15 feet along one wall with stacked 7 feet tall with Nike shoe boxes! Now the boxes could’ve been empty or full of trash but the winning bidder believed that they were Nikes and therefore it got bid up really high! The typical sales price for me is anywhere between $1 to $500. This seems to be a typical price for both my live auctions and the online auctions that I see. I evaluate price based on what I am seeing. 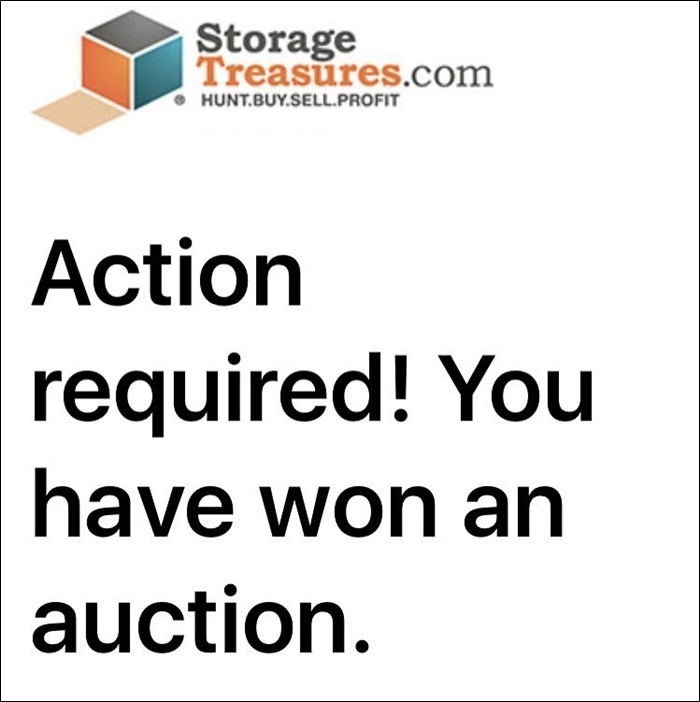 This resell game of acquiring items through the auctioning of abandoned storage units is a bit of a treasure hunt and as a buyer you must also have a bit of a riverboat gambler mentality! I have bought plenty of units that were complete garbage because I got fooled by the dusty boxes in good looking totes! But there were other times where I bought those same dusty cardboard boxes and totes and they were filled with collectibles and other quite nice resealable items. The most valuable items I find are typically scrap gold and silver broken jewelry. I find lots of bullets — but no guns yet! The most unusual were the tips of calligraphy pens found in the bottom drawer of a $200 locker. I set that little matchbox of calligraphy tips in my eBay pile and didn’t look at it for months due to my busy football coaching schedule. When I finally got around to listing them, they ended up selling on eBay for a cool $455! Now I know calligraphy pen tips, what they look like, and what their value is. That’s the big chunk of this journey — learning about the variety of items people buy and what they’re worth. There have been things I have found that I didn’t know had any value at all. For example, I once found five Michael Kors dresses in a locker. I thought that they had just misspelled the Coors beer name on them! I snapped a picture and sent it to my wife and boy did she teach me! She kept a couple of the dresses for herself and the rest I sold on eBay for a tidy profit. I definitely know a lot more about name-brand clothes and accessories than when I started, and those items tend to have strong resale demand. eBay is my go-to outlet to sell the most unusual items I find. There’s something about that nationwide and really worldwide marketplace that makes it perfect to sell rare or odd items. Nick’s Notes: Flea Market Flipper Rob Stephenson echoed that sentiment in our interview. 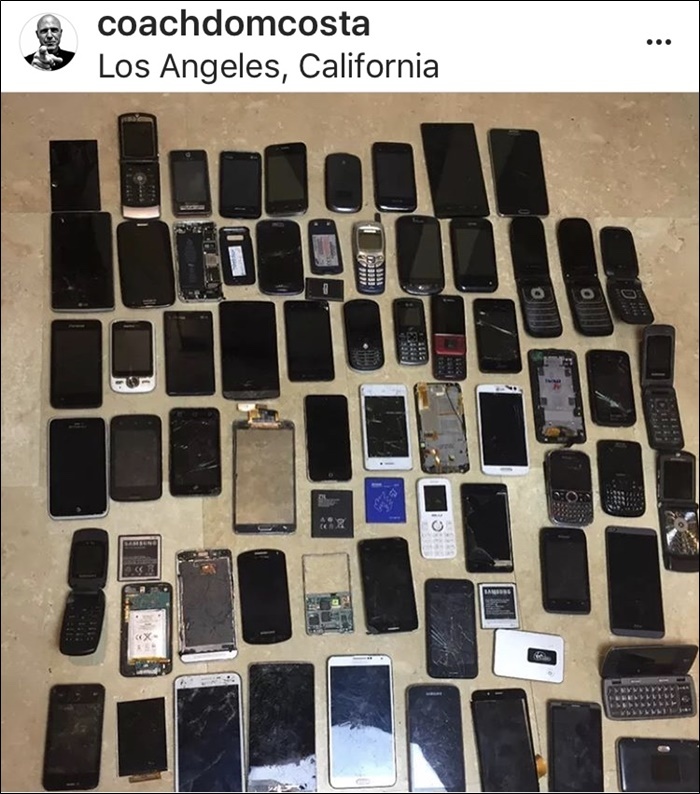 I found this pile of old cell phones in one unit, and sold them on Ebay for $100. If the item has a barcode, I’ll list it on Amazon. Other items would go on a Facebook sale page or on Craigslist for my local buyers. The final items are either donated or sold at a blowout garage sale held at my home. When you win an auction, you’ll be responsible to pay the winning bid amount on the spot (usually $1-500 for me) , plus the $100-200 cleaning deposit. But there are some other costs you should know about, the biggest being your time. There are lots of hours of labor loading and unloading this stuff, and for big units, it may take several trips. I own a full-size pickup, which definitely helps. You have to factor in your time, fuel, number of truck trips, and labor to get this material out of the unit and to your home or sourcing space. Do you have a big enough garage to store your newly-acquired inventory? Or will you have to rent some warehouse space — or a storage unit of your own? There are also marketplace fees to be aware of when you re-sell the items. Craigslist is free but eBay typically takes 10%. 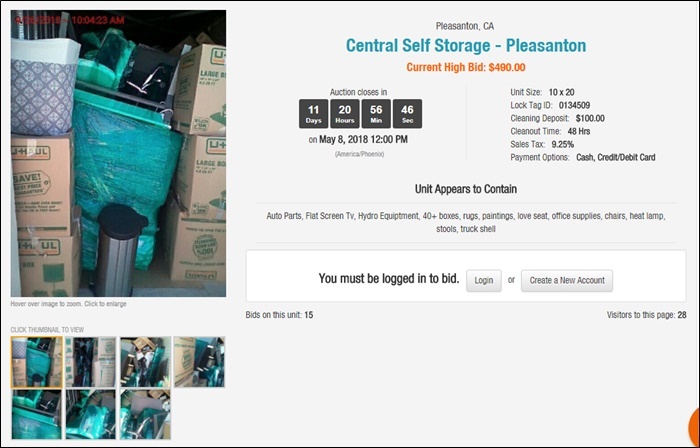 Storage unit auctions today are not only held live but are also held online! This has been a benefit for me because I still have a full-time job. 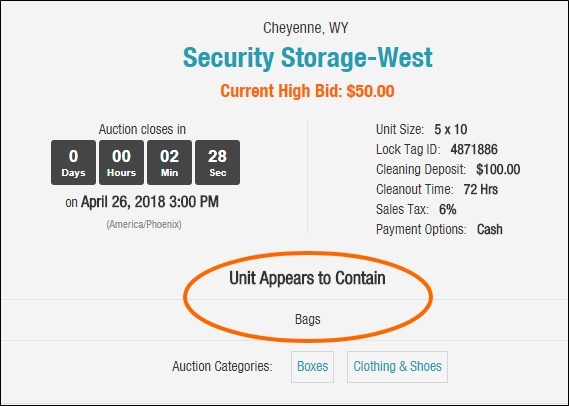 Online auctions allow me to not have to take a day off to attend and I can readily see the items and purchase the lockers online. My favorite online auction site by far is StorageTreasures.com. They have auctions nationwide, and plenty in my part of Southern California. They make it easy to look at each unit but each facility is responsible for taking pictures of the units for sale and the quality and quantity definitely vary. It is a little bit like online dating — the pictures can be helpful but sometimes they don’t tell the whole story. These are the only two pictures provided. The current bid is only $50, but the description is just one word: “Bags”. Sometimes it really is a treasure hunt — a roll of the dice. I probably win 10% of the auctions I follow online. Auctions are fascinating places to watch human behavior. It is better to be at an auction than to watch one on TV, that’s for sure! The biggest issue with this business is how much space you have and what type of transportation you have. You have to be able to move the stuff and have a place to process it to figure out a resale or disposal plan for each item. In my experience, most of the big buyers are my swap meet sellers. These are the folks that have to feed the machine! They need to keep getting material to sell daily at their swap meet stall. Bidding on units with them can be interesting because they may bid up the units on newbie buyers; online bidding eliminates that. Another observation is that prices seem to go up right after tax season. Perhaps some people are using their tax refunds to go hunting for storage locker “treasures”! You have to develop a keen eye for units that have valuables in them. I believe this can only be learned by actually doing it over and over many times! I’ve gotten better over the years because I’ve learned more about the variety of items I found. As I learned more, I got better at selling those items! There is a definite learning curve, and it takes real world practice. For example, my first couple of units had some Disney memorabilia that I ended up selling at a low price before I knew their true value. An interesting fact is that the smaller units often sell for more than the bigger units because some buyers can only handle the material that is stored in a smaller unit. I highly recommend you go online to check them out or find an auction nearby to get a taste of what it’s really like. It is the only way to learn! It will be up to you as an individual if it is worth your time. It has been a ton of fun for me as well as profitable — most of the time. The sad thing about storage unit auctions is finding all of the personal life mementos and paperwork. I return those items to the Storage office. Most people lose their lockers because they have a financial problem, a death in the family, a divorce, or a medical hardship. Sharing this journey of what I find and the circumstances behind why these lockers were lost with my students and family has been a benefit and a cautionary tale. I’ve found Americans (in general) buy and have too much stuff and then have to spend even more to store it. The entire storage industry — and my little auction side hustle — is built on this consumerism. All in all, storage locker flipping has been a great way for me to make money on the side — and teach my students some lessons about business. 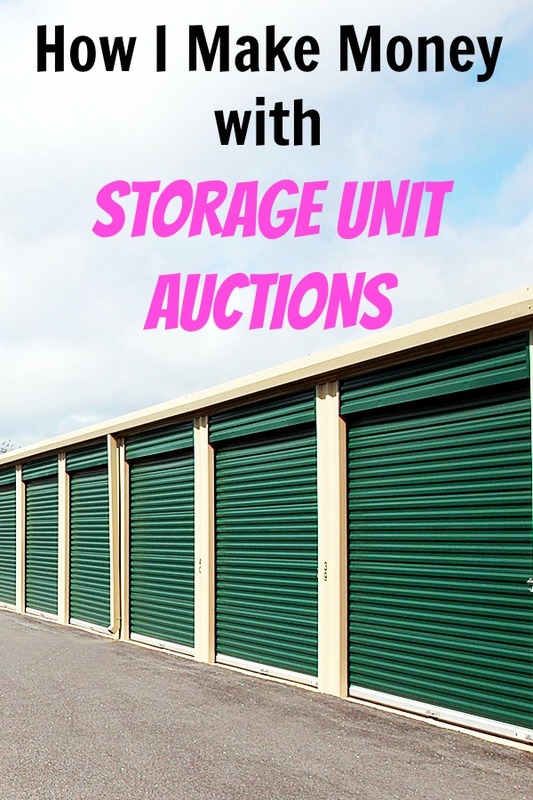 Have you ever tried the storage unit auction side hustle? Ever watched Storage Wars and thought, like I did, “Yeah, I could do that!”? Be sure to follow Dom on Instagram and YouTube, where he shares some his flipping finds and hustle tips. Seriously, he’s been at it for years and has an amazing energy! The only thing I don’t like is how they just pull prices out of their a**** and that’s how they calculate the profit. If you have ever tried to sell something used, you know people will hackle and somethings don’t sell. Now that we have weeded out most of the wannabes it is fun again,too!!! Sorry so long, but this is one of my passions! Nice! Thanks for sharing Steve! Thanks Nick Loper for the chance to share!!! BTW Dan is spot on-I’ve thought the same thing on the prices some of the high prices Storage Wars participants give on items they find! Most definitely hmmmmm?!?!??! Cheers Steve for the unit score! That’s a score!!! Keep pumpin’!!!!!! This post reminds me what the hack happened to that TV show called “Storage wars,” where people virtually fought and cussed each other out over lockers that had hidden treasure in them? I wonder if there’s storage auctions everywhere in the United States. 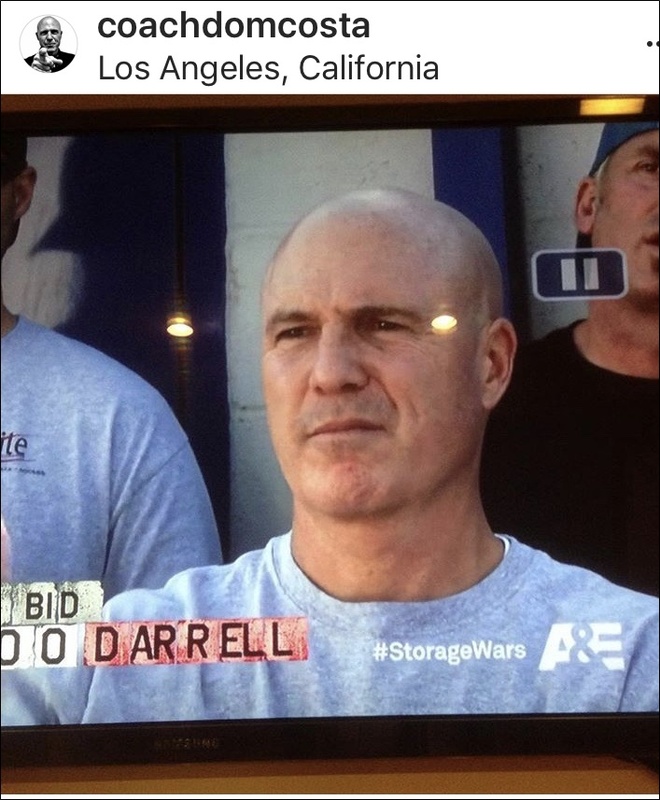 Storage wars was such a great show because it was a pretty actuate representation of what being in that business is like. There are millions of passive income ideas out there but not everyone has hundreds of dollars to put down on a unit. I recommend dropshipping for beginners because there’s such little cost associated with it.. try SaleHoo for products. I also just started little over a year ago and love it lots of hard work for just me and my hubby but we always figure it out. Was wondering if anyone had any online sites that list in Florida. (Fort Myer/Cape Coral area) Thanks Bunches D.
I wish I could find someone to go around and do this with me. I would love to try and get a feel for it. Cynthia do you have a website to look up on these units? Been doing this for a couple of years now, and I will say that it is an enormous amount of work. I share a store (39 Thrift Store and More) with 5 other vendors, none of which are getting their products from storage lockers. I have found that recently there are some pretty high rollers here in the Raleigh, NC area that will bid high just to get as many units as they can. I find my lockers on “Locker Fox.com” and Storage Treasures.com. It is amazing how much money can be made from these lockers, but for me, I clean, wash, sanitize, and test everything before I take it into my store. I do have a helper, but I am 72 and he is 73. I only wish I would have found out about this venture years ago. I sell local online and at my store and am making a profit every month. A lot of great info. I just think that I need to spend more time learning the value of items that I am able to see in a locker.